You can enjoy help paying for your education if you are awarded one of the available scholarships in the state of Washington. It is one of the best places in the United States to study as it has some of the best colleges and universities. Getting your degree here can mean more opportunities for work as well as earning them from the most reputable schools. This means more quality education and training and also one of the best years in your life. Hence, getting a quality college education here can really be a good advantage for you. Nothing can be greater than attending one of the best universities that there is for free, or at greatly reduced cost. Not everyone enjoys this opportunity since not everyone can qualify to the programs standards. So how does one prepare for such an exciting and privileged chance to be admitted to one of the best colleges and universities in the state or even in the world? Well, mostly, the requirement would rely largely on your academic performance as well as your involvement in your school organizations. Leadership and character are some of the most sought out traits in a potential scholar. But what if you do not have the said qualifications? Of course you may still apply for some scholarship programs in Washington. Not all of them are looking only for the class valedictorians or salutatorians in high school. There are also those which are seeking applicants who support a particular cause or are members of a particular social group or ethnicity. There are also those which are given to first-generation students and to those which simply cannot afford to go to college. You do not have to study hard in order to acquire such qualifications, and they are not merits that you can get by working hard toward them. Finally, there are many need-based awards, grants, and aid available for students who are unable to pay for college due to their household incomes. The first place the scholarship searcher should start is by visiting the FAFSA website. The Federal Student Aid programs offers opportunities for college loans, granst, and work-study compensation. 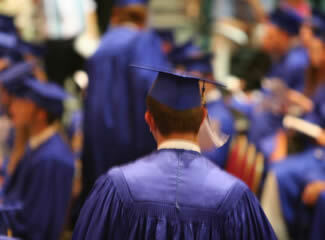 Each year they provide students with over $150 billion in funds to pursue a college, or trade school education. Completing a Free Application for Federal Student Aid is also mandatory before one can apply for many of privately awarded programs. There are many options for one who is seeking to study for free in Washington and the only thing that you need to know is if you are qualified for them. There is the Edmund F. Maxwell Foundation which is designed for those who wish to attend independent colleges in the state and who have financial need. Winning applicants can be awarded up to $5,000 even for those who are only in their first year. The Washington State Association for Justice’s American Justice Essay Scholarship is available for up to three students each year and it is based on writing a good essay about the justice system in the United States. You can also apply to the KATU Thomas R. Dargan Minority Scholarship which is for members of the minority groups in the US and would like to take up communications or broadcasting in college. There is also the Greater Seattle Business Association and Pride Foundation Scholarships which are available to members of the gay, lesbian, bisexual or transgender groups. Candidates must be able to show that they have leadership skills as well. The Washington State Opportunity Scholarship (WSOS) is awarded to students pursuing degrees aimed at becoming scientists, mathematicians, engineers, and health care workers. On the other hand, there is the Foundation for College Christian Leaders Scholarships which is given to those who wish to pursue ministerial work.